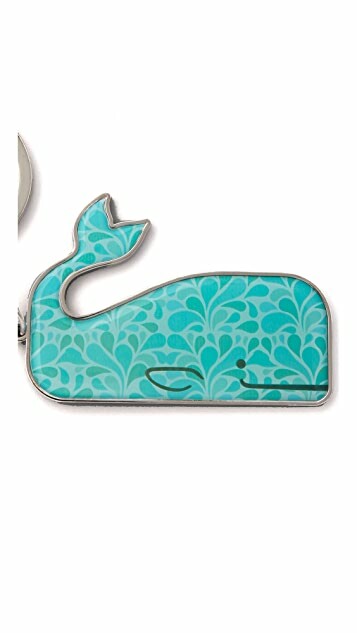 This metal key ring features a plastic-inlaid whale detail. * Whale is 3" (7.5 cm) long. 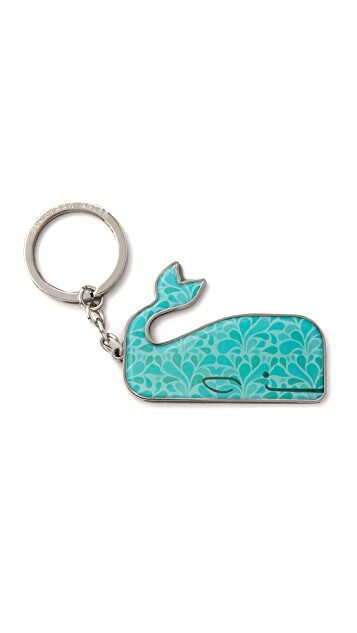 I like this keychain very much as whales are close to my heart! It's fun and bright.... just the way I thought it would be. the blue whale is a keeper....how fun! luv! It's a really nice key chain. The actual size is bigger then what the picture portrays it to be. 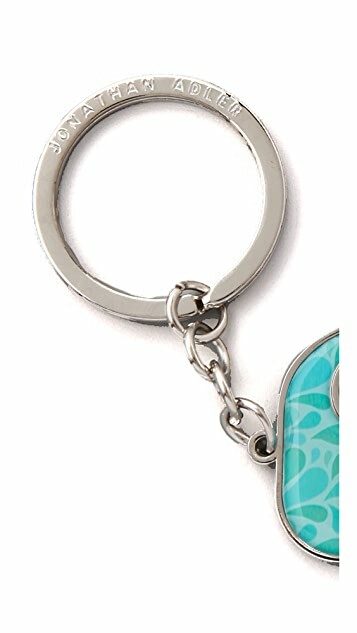 Keychain is about hand size. Worth the price.